Grandmother´s copper pots - tenderly hand-forged for you. Craftsmanship like in the good old days! Grandmother´s copper pot? Hand-forged copper pots with covers seem today almost like a remnant from the good old days. And yet these indestructible plain copper pots are suitable for all purposes - especially in the modern kitchen. Many a cook would be happy to have a pot of such excellent quality. 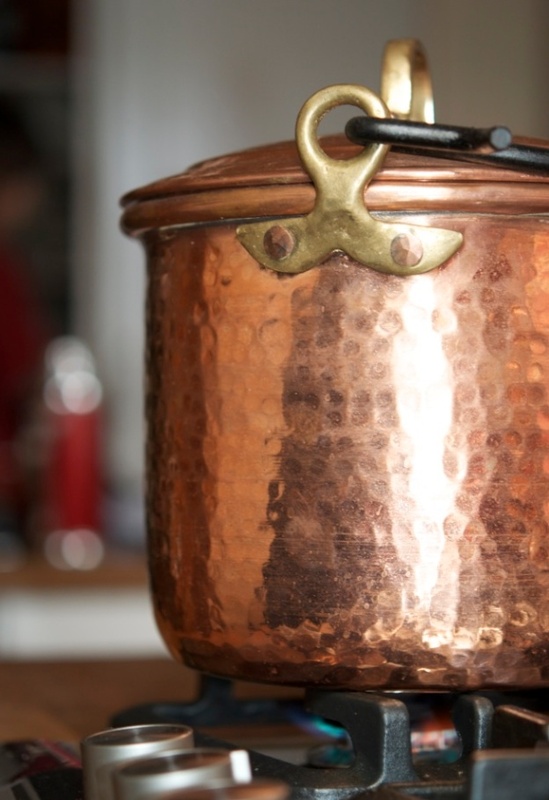 Copper pots spur us on to high culinary performance and make cooking fun. Copper is still the best material in well-equipped kitchens - and not only because of the excellent heat conductivity, but also when it comes to care and maintenance copper is uncomplicated and lovely to look at as well.